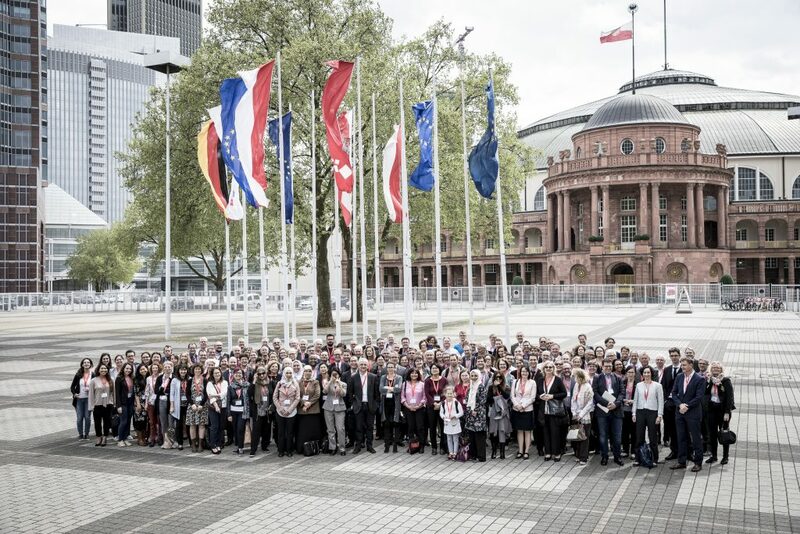 Brussels – 22 March 2019: the European Blood Alliance (EBA) together with a consortium* held on 24 and 25 April 2018 the first International Consensus Conference on Patient Blood Management (ICC PBM) in Frankfurt, Germany. The conclusions and recommendations from the conference have just been published in JAMA: JAMA. 2019;321(10):983-997. doi:10.1001/jama.2019.0554. Patient Blood Management (PBM) aims to optimise the care of patients who might need a blood transfusion. Noting that evidence on transfusion thresholds is missing and there is a variety of guidelines on the subject matter, an international consortium led by EBA took the initiative for this conference*. A total of 18.000 publications were screened and 142 studies were included based on 17 questions constructed by experts. Results were critically evaluated at the expert conference and discussed for different patient groups. Expert panels drafted recommendations, whenever evidence was available. Unanimously participants stressed the different level of studies suitable for evidence based analysis. The outcomes of the systematic reviews were presented to a panel and an audience of 200, consolidating the available knowledge on Red Blood Cell Transfusion Thresholds, Pre-Operative Anaemia and Implementation of PBM. the value of electronic decision support systems to optimise RBC transfusion. 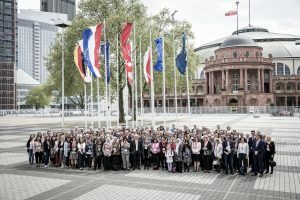 “This is a key achievement for EBA and co-sponsors as it succeeds to rally the international community in drafting consensus statements and recommendations, and to publish the findings in a highly-ranked peer-reviewed paper” said Professor Seifried, Blood Transfusion Centre of the German Red Cross, one of the co-authors. The recommendations must now be taken up by transfusion specialists in collaboration with experts from the blood establishments and implemented at hospital level, for the benefit of patients. * The consortium consisted of: American Association of Blood Banks (AABB), International Society of Blood Transfusion (ISBT), Deutsche Gesellschaft fr Transfusionsmedizin und Immunh䭡tologie (DGTI), the French Transfusion Society (SFTS), Societࠉtaliana di Medicina Transfusionale e Immunoematologia (SIMTI), with participation of Australian Red Cross Blood Service (ARCBS), Canadian Blood Services (CBS), International Collaboration for Transfusion Medicine Guidelines (ICTMG), International Society on Thrombosis and Haemostatis (ISTH), National Blood Authority (NBA), Australia and the ֳterreichische Gesellschaft fr Blutgruppenserologie, Transfusionmedizin Regenerative Medizin und Immungenitik (ÖGBT).